Skyforge’s next big patch is set to hit on Wednesday, and it’s bringing a lot of changes with it that should improve the overall quality of gameplay — as well as add some unique features. The patch notes are a rather large laundry list of changes in everything from the Pantheon Wars to general interfaces and bug fixes — including specializations and story items. There are also a few interesting additions to the game; for instance the new Photomode system which allows players to “pause” the game for screenshots. Players should keep in mind that the pause is merely a visual thing. If you’re in the middle of a fight, you’re still being attacked through it. So I wouldn’t take too much time to line up that shot if I were you. Another fun addition is PvP trophies — which are similar to regular trophies except the bonuses they provide work only in PvP battles. 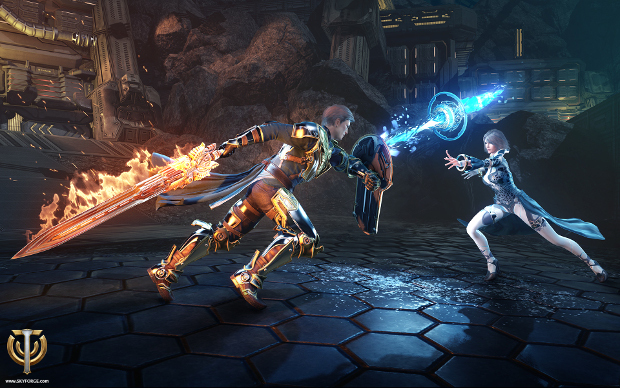 For a full list of changes, be sure to check out the patch notes on the Skyforge site. Replay exactly the same map 1000 times. Welcome to Skyforge. Not sure about what mmo is more Pay to win: Skyforge or Archeage. I can’t believe that this is still going .With such toxic community and broken and boring gameplay..